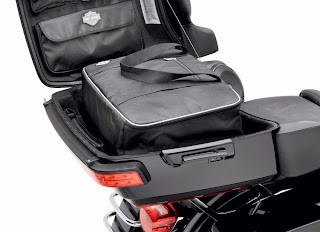 MILWAUKEE - Handy features and deluxe materials distinguish the new Premium Travel-Pak Collection from Harley-Davidson® Genuine Motor Parts and Accessories. 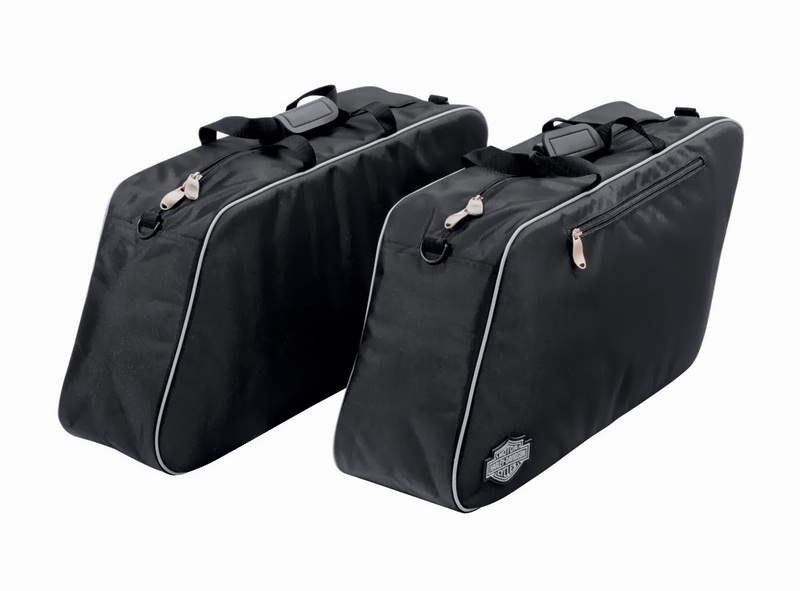 Shaped specifically to fit Harley-Davidson® motorcycle hard saddlebags and Tour-Pak® luggage reshaped for 2014 through Project RUSHMORE, each Travel-Pak bag is manufactured of durable, water-resistant ballistic nylon and styled to compliment the Harley-Davidson® Premium Luggage Collection. The exterior features comfortable carrying handles, heavy-duty glove-friendly zippers, a zippered pocket, D-rings for optional carrying straps (sold separately), and 3M™ Scotchlite™ Reflective Trim. 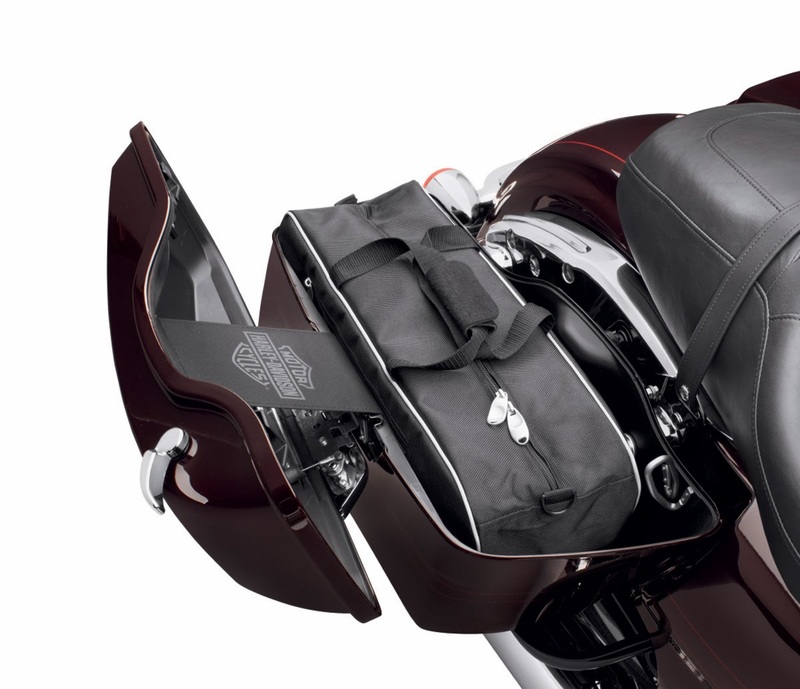 The padded interiors feature a variety of convenient pockets and plenty of open storage. Hard Saddlebag Travel-Pak (P/N 93300070, $129.95) Fits 1993-later Touring models equipped with hard saddlebags. Sold in pairs, the right-hand bag features an internal padded laptop pocket and secure storage for small devices. King Tour-Pak® Luggage Travel-Pak (P/N 93300072, $99.95) Fits 2014 Touring models equipped with King Tour-Pak® luggage. Chopped Tour-Pak® Luggage Travel-Pak (P/N 93300071, $89.95) Fits 2014 Touring models equipped with Chopped Tour-Pak® luggage.